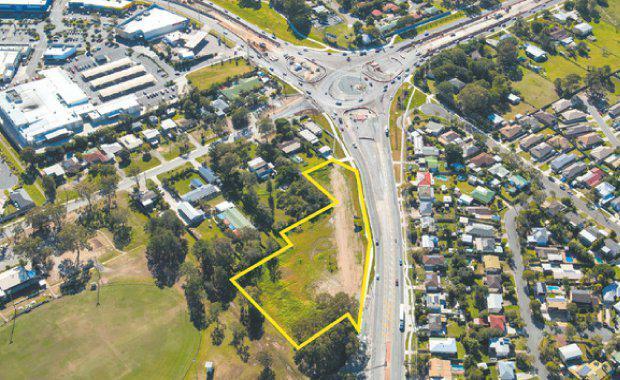 A development site in the northern Brisbane growth corridor of Moreton Bay is being offered for sale via auction. The site offers existing development approval for a major convenience centre and fast food drive-thru opportunity. Rothwell Edge, a well-located site on a land area of approximately 8,055sq m at 560 Anzac Avenue, Rothwell, is being marketed by Stephen Kidd and Elliot Kidd of Ray White Commercial (Qld) in conjunction with Cushman & Wakefield. Stephen Kidd said Rothwell Edge is one of Brisbane’s premier commercial development sites and located in a growth corridor benefitting from major new infrastructure such as the $1.15 billion Moreton Bay Rail Link. “With the Moreton Bay Region’s population set to grow by 40 per cent over the next 20 years, Rothwell Edge presents a unique opportunity to buy a large site with all the right development ingredients,” he said. “Rothwell Edge has exposure to approximately 32,500 vehicles every day and is positioned to offer retail and fast food tenants high visibility to one of Brisbane’s leading population growth corridors. Elliot Kidd said Rothwell is approximately 30km north of the Brisbane CBD and within a vibrant community growing at approximately 2.3 percent per annum, ahead of the Queensland average of 1.9 percent. “The Moreton Bay Region is all about affordability, transport infrastructure and job nodes,” he said. “The Moreton Bay Region has surpassed Logan City as the strongest real estate market in the Greater Brisbane Area. “The newly completed Moreton Bay Rail Link has made it significantly easier for people to access suburbs within the region and the Brisbane CBD. The site will be auctioned from 10.30am (AEST) on Thursday, 22 September 2017, at the Ray White Corporate rooms at Level 26, 111 Eagle Street, Brisbane.